The eight-month old battle between the Lebanese state and anti-corruption activists has taken many forms: from street protests and occupying government buildings–met with tear gas and water cannons– to music videos, egging official motorcades, even rolling out a medieval catapult to hurl trash bags at the prime minister’s office. But now it has become a war of drones. 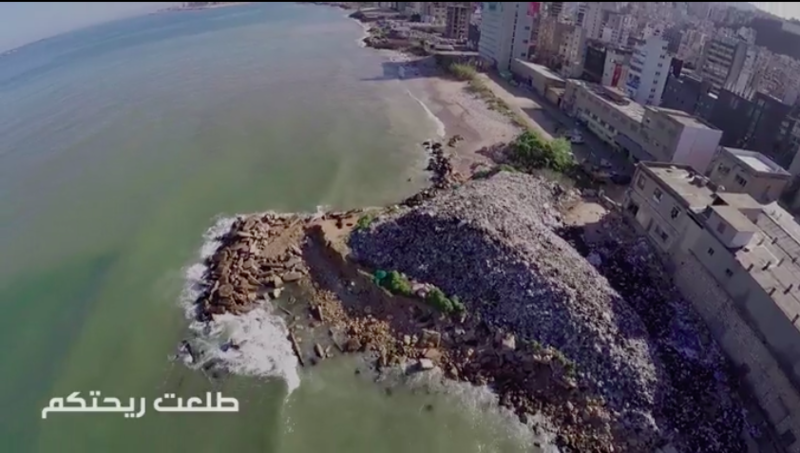 Responding to a Ministry of Tourism drone video that highlights Lebanon’s natural beauty, activists with the #YouStink movement released a more realistic drone video revealing the state of garbage mountains across the country, an environmental and public health disaster–and massive political failure– the Lebanese state would rather hide. You can read more about the crisis, and the very creative forms of activism it has sparked, in my latest piece for The Guardian, here. The Ministry of Tourism has threatened to sue the activists for using their logo and “harming Lebanon’s image”. It is not clear how or if the ministry and activists will come through on their latest threats. Over 250 protesters have been jailed or detained since protests began but lawyers representing the activists say all have been released, and many shown in videos of celebrations held outside police stations, also posted on Facebook. Has the pressure of activism and the worldwide circulation of their garbage drone videos (now nearing one million views) motivated the government to action? Is this a tactic to reduce the crowds at tomorrow’s protest? Activists have already warned that the dumps mentioned above are substandard or overcapacity. Will this latest government decision have any impact on the protestors’ demands and the environmental disaster? After a long day of demonstrations filling the streets downtown, activists have called on citizens to boycott work and school beginning on Monday until the sanitation crisis is resolved. As of early Sunday, some were camped out in front of police lines facing the prime minister’s office. Follow the Beirut Report Facebook page for the latest updates, images and videos from the protests. What happened to Beirut's "Shoreline Walk"? Does “high technology” mean garbage incineration for Beirut?